How do you impress Elon Musk? Combine two of his favorite things into one incredible spec commercial. 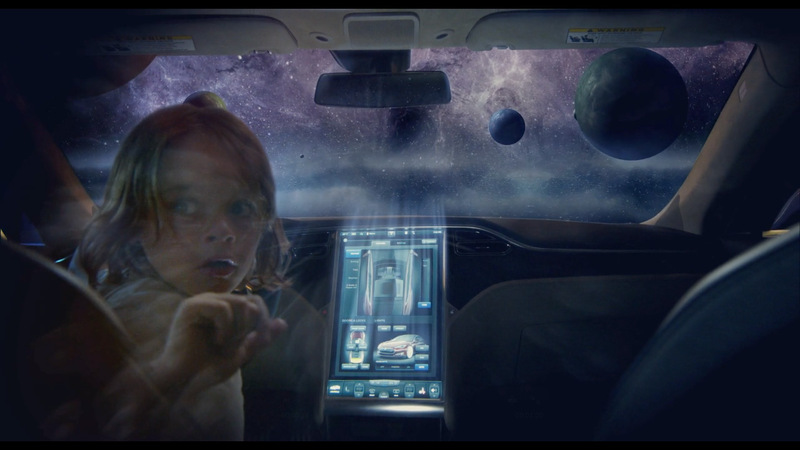 That's what the enterprising creatives at Everdream Pictures did with the impressive homemade spot below for Tesla Motors, which Musk runs as CEO and chief product architect. Wisely, they gave it an extraterrestrial theme, likely thinking that would also appeal to Musk, who founded SpaceX as well. The result? Fawning tweets from both Tesla and its CEO—along with a tacit promise from the latter that the electric-car maker will hire Everdream for paid work in the future. "We have no real connection to the vehicle but are passionate about what the brand and Elon Musk stand for. We also just feel like it's one of the greatest cars of our generation," Everdream co-CEO James Khabushani tells Adweek. "We're trying to make a big statement. Why are brands still spending 2-plus million dollars on a commercial? This spot is professionally produced and produced for $1,500, which went towards the cost of travel, food, a motel, etc. And sure, we pulled a ton of favors from our wonderful crew, but still, we can create content better, faster and cheaper. Imagine what we could do with a $250,000 budget? Times have changed. Technology is finally impacting media in a big way. Cameras are better and much cheaper. The fact is, college kids can produce great content." Fun fact: The boy in the ad is Mace Coronel, a child actor who has a recurring role on The Bold and the Beautiful. @jnags92 Yes, I'm confident that Tesla will do something with them.